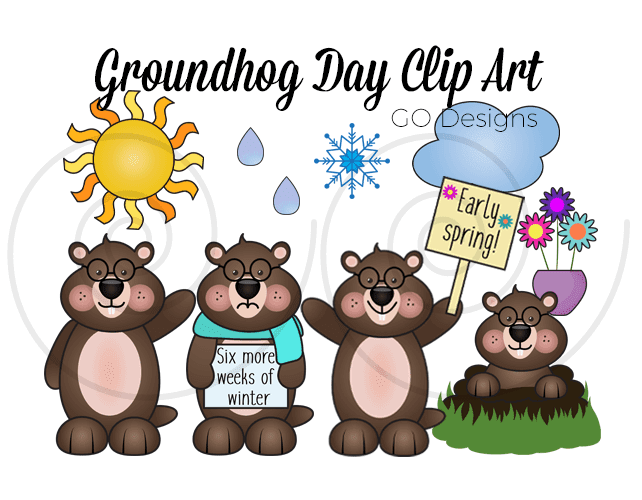 If you're looking for some fun groundhog day clip art you've come to the right place. This sweet little clip art set of 26 images includes both colour and black and white. All the little groundhogs are 8 inches tall (well, except for the one popping out of the ground). He's a bit shorter. The groundhogs with the spring/winter signs come the way you see them AND separately, so you can get the sad looking groundhog with and without the sign; same thing with the happy groundhog. That way you can mix and match them the way you like. Free groundhog (very similar to the ones you see above). Round-Up of Groundhog Day books: I read all of these to my class last year and they were all a big hit! Groundhog puppet, poem, pencil craft and more book recommendations! Groundhog Day directed drawing from Proud to Be Primary. We did this last year and they turned out great!! Crafty Morning also has a list of some really good groundhog day crafts. I especially like the one with the groundhog's shadow. 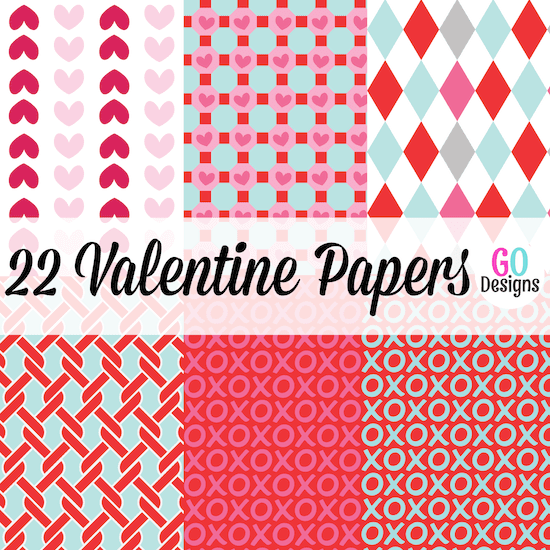 Valentine Papers Galore: Chance to Win! 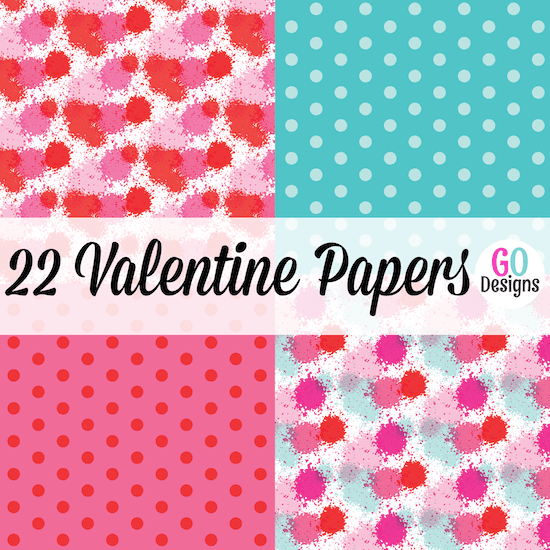 I've just revamped all my Valentine papers and I think you're gonna love 'em! I used to have five or six different sets but I've grouped them by style. Which means that for two of the packs you get WAY MORE papers at an excellent price! 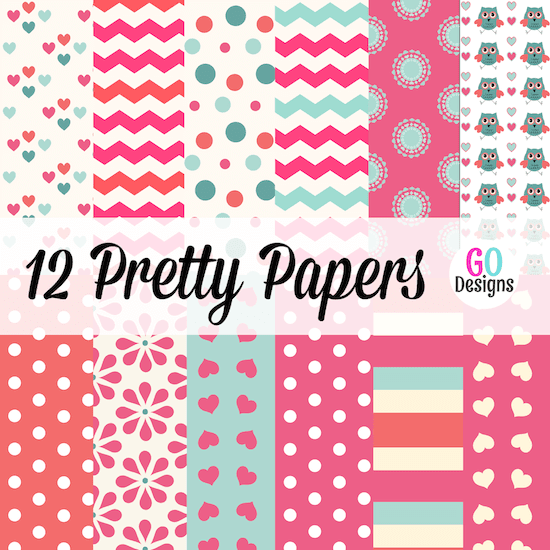 First up are the damask papers. These don't have to be used at Valentines, of course, but given the colour scheme they'd be perfect for that. There are six different patterns, with 3 backgrounds (light pink, pink, red), with both black and white motifs. 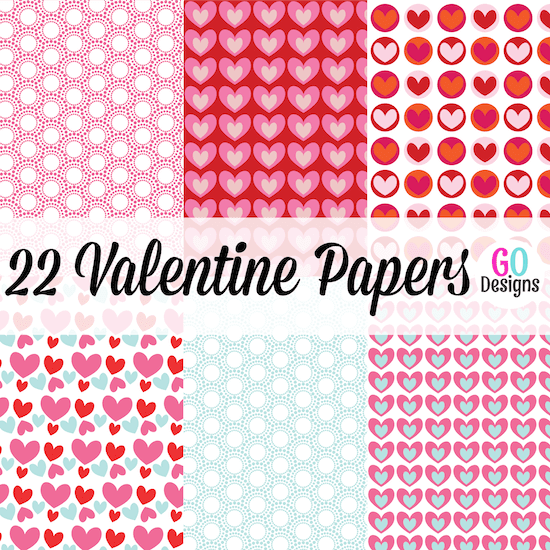 Next up is a set of 22 Valentine papers with lots of fun designs. Plus I threw in some aqua which I just love with pink (no surprise there, I guess, given my site's colours). 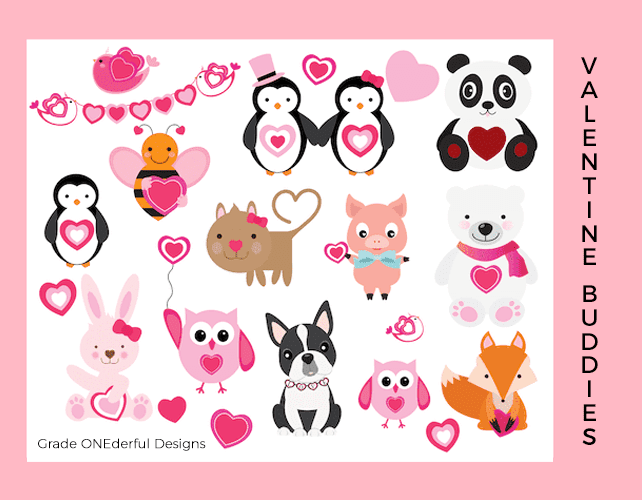 Wouldn't these be perfect to use for party invites or for making your own Valentine cards? And finally I have a sweet little pack of 12 papers. In this set I used a lovely soft cream which I think gives it a sort of vintage feel. All the papers are approximately 12 by 12 inches. I say approximately because some of them aren't perfectly square...I wanted to fit in the whole pattern on the sheet so that it wasn't cut off in some weird place. They're also 300 dpi which means awesome quality! If you'd like a chance to win one of these sets, please leave a comment with your email address AND the set you'd like to win (Damask, Valentine, or Pretty). This is Sunday, so on Wednesday I'll do a random draw and pick THREE winners!!! That is, assuming I have at least 3 comments ~ haha! UPDATE: The winners are Retta, Vivian and Susan K! Congratulations, ladies. Please email me, Barbara@GradeOnederful.com, and I'll send you your papers. 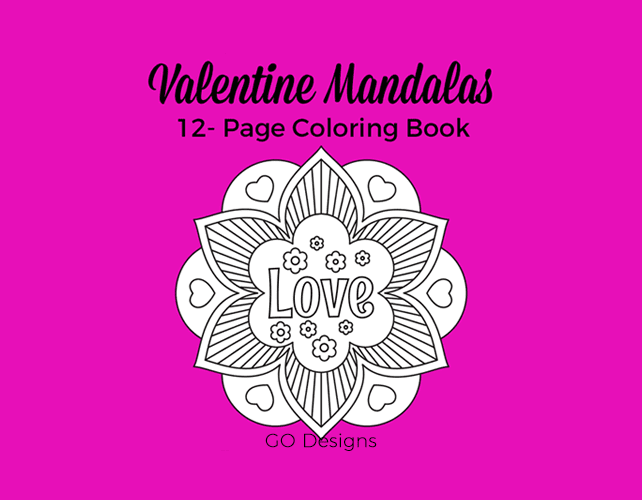 Valentine Mandala Coloring Book: Chance to Win! I just finished making another mandala colouring book. This one is for Valentine's Day! Lots of people enjoyed the Christmas mandala book, so I'm hoping you'll like this one, too. For $3 you'll get a 14 page pdf with 12 colouring pages (but check below for a chance to win it). 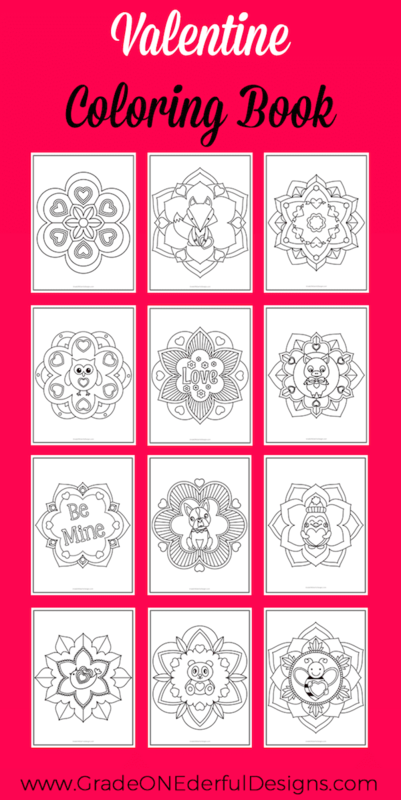 Each page has a Valentine image and a unique mandala. I think these sweet pages are perfect for some at-home colouring or in the classroom. They could be used in a centre, as an art lesson or when your kids are finished their work. When I was teaching 1st grade I'd often use sheets like this as a writing prompt. Each child chose their favourite sheet, and when it was all coloured they wrote a few sentences related to the picture. Sometimes it was a description but other times they just kind of riffed off an image. They always enjoyed it and we had fun sharing their writing during Authors' Circle. Would you like a chance to grab a free copy? It's easy: I'll send the booklet to the first two people who leave a comment with their email address. 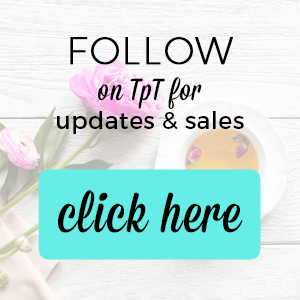 PS Be sure to subscribe to my newsletter. 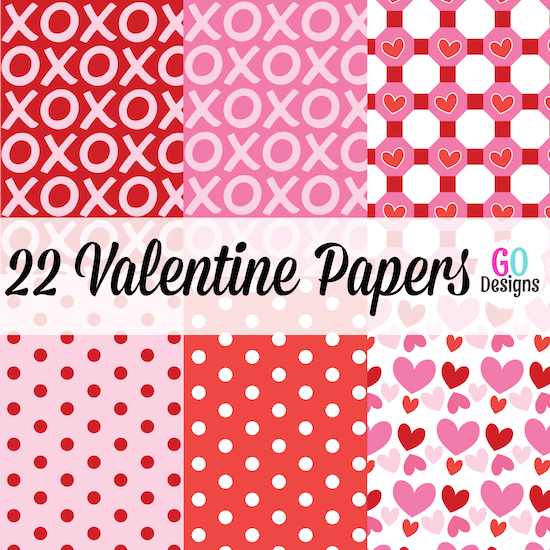 You'll receive a free clipart gift AND if you subscribe before January 31st, you'll receive a Valentine paper pack exclusive freebie in the February 1st newsletter.